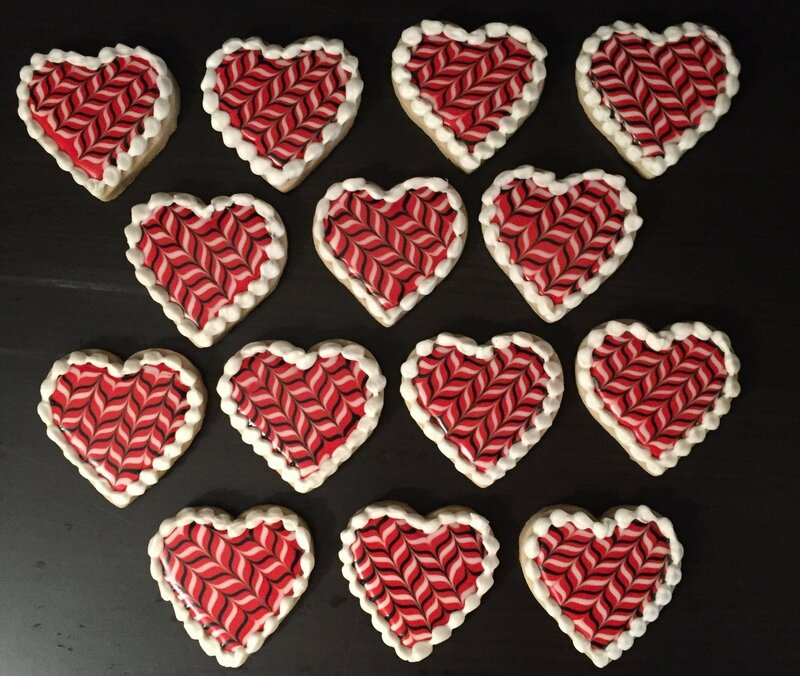 This set includes 1 DOZEN Heart-shaped cookies - Red, Black & White Feather Swirls and Shell Border details. Get our delicious gourmet cookies topped with a thick layer of our special Royal-Glaze icing. Pick any flavor combination (limit 2 flavors).